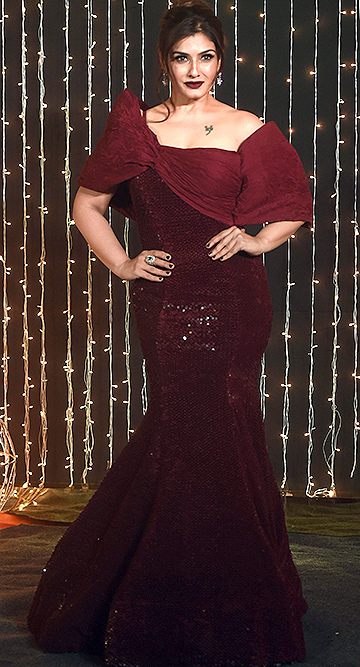 Bollywood actor Raveena Tandon with her husband Anil Thadani pose for a photograph during the 5th edition of Nykaa Femina Beauty Awards, in Mumbai. 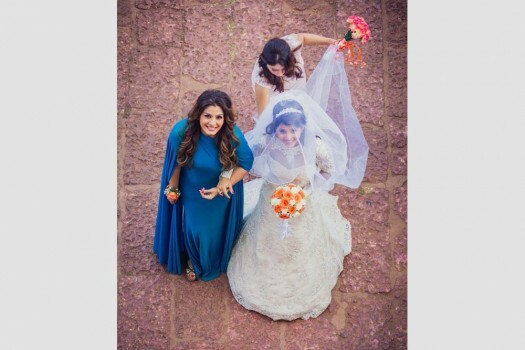 Bollywood actor Raveena Tandon poses for photos at the wedding reception of Priyanka Chopra and Nick Jonas, in Mumbai. 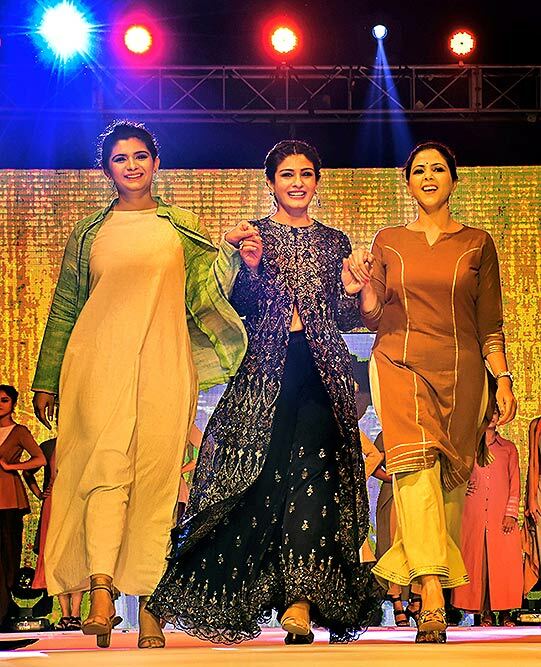 Bollywood actress Raveena Tandon with models walks the ramp during the fashion show 'Paridhanika' in Bhopal. Bollywood actress Rekha and Raveena Tandon during the 11th GeoSpa asiaSpa India Awards event in Mumbai. Bollywood actor Raveena Tandon and her husband Anil Thadani at Power Brands Bollywood Film Journalists Awards 2018 in Mumbai. Bollywood actress Raveena Tandon during a press conference on her upcoming film ‘Maatr’, in Mumbai. 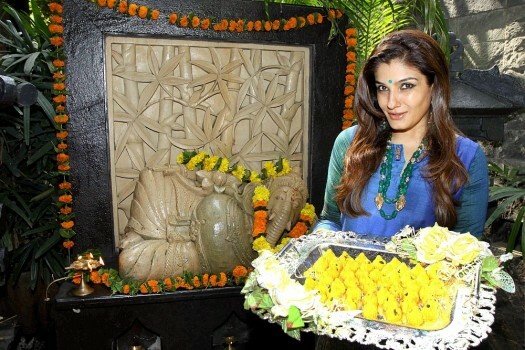 Raveena Tandon celebrates Ganesh Chaturthi at her residence in Mumbai. 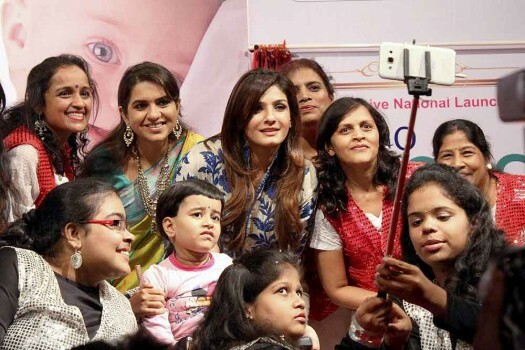 Actress Raveena Tandon and BJP leader Shaina NC taking selfies with special children at the launch of Spina Bifida (Birth Defect) Awareness Campaign in Mumbai. 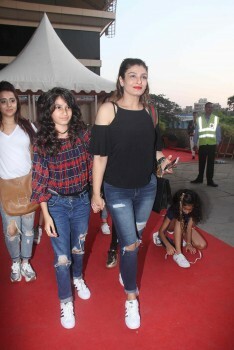 Actors Karishma Kapoor and Raveena Tandon with Choreographer Shiamak Daver during a dance show in Mumbai. 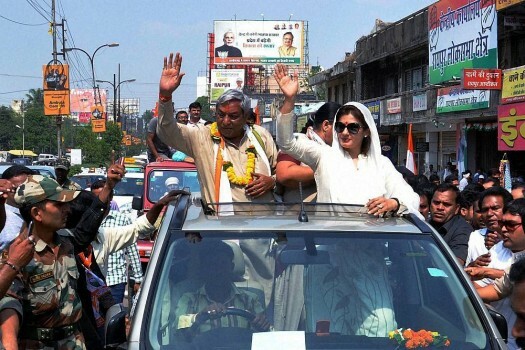 Raveena Tandon campaigning for Congress candidate Satyanarayan Sharma in Raipur, Chhattisgarh. 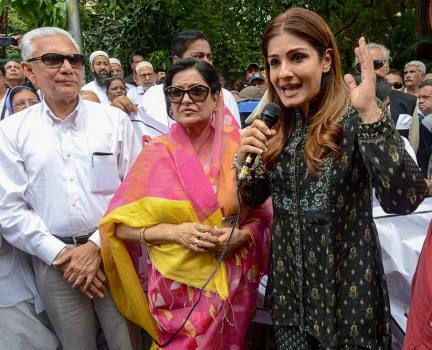 Bollywood actress Raveena Tandon during an Earth Hour event in Mumbai. 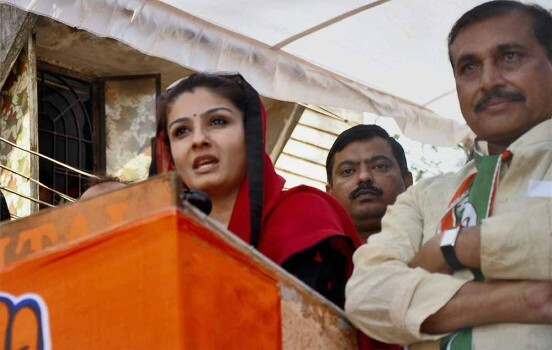 Actress Raveena Tandon speaks at an election rally in favour of Congress party in Bhopal. Yesterday’s screen queens return. But starlight is a fickle thing. 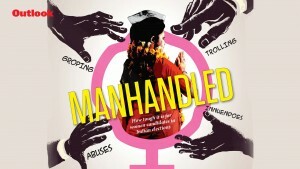 Actors Ayushman Khurana and Raveena Tandon address the issue of workplace harassment in and out of the film industry. 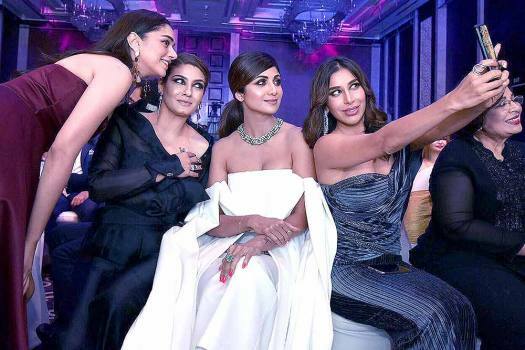 Actor Raveena Tandon, who was also part of the guest list, shared a picture from the event, in which Priyanka can be seen wearing the ring in her left hand.